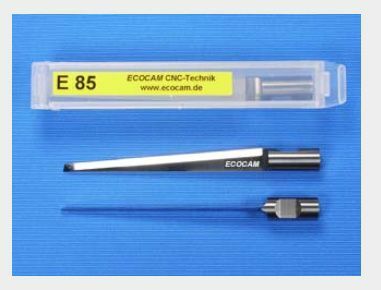 VHM Blade E85 | DamenCNC B.V.
Special blade for EOT module, soft polyurethane foam panels. Please use only in combination with the EOT-2 or EOT-3, and a hub of 3mm or less. This blade is often used for making flightcase inlays.